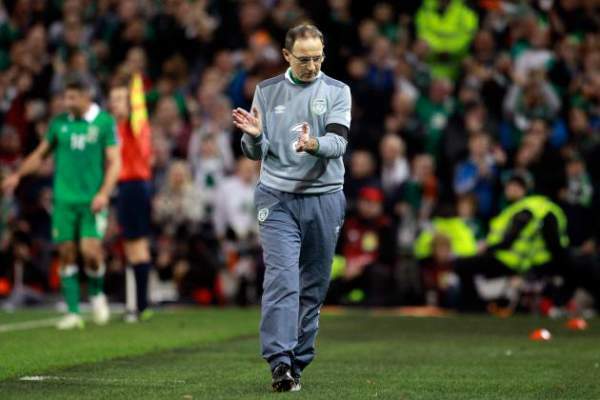 They finished fourth in their group whereas Ireland finished third in their group and then played against Bosnia & Herzegovina in the playoff and won the tie and qualified for the Euros. Both teams will meet and play their best to get back in International form. 28th May 2016 at 00:15 (IST). Ireland played in group D of the Euro 2016 qualifying stages with Germany, Poland, Scotland, Georgia and Gibraltar and finished third in the group with 18 points in the ten games played by them, winning five, drawing three and lost two. They played against Bosnia & Herzegovina in the play off and won by 3-1 on aggregate to qualify. Netherlands played against Wales in their last friendly and won the game by 2-3 away as Bas Dost scored in the 32nd minute but then Ledley equalized in the 48th minute, then Robben scored again in the 54th minite and then again Huws equalized in the 70th minute, and then finally Robben scored the winner in the 81st minute to win the game. They won against Kazakhstan by 3-1 at home, against Latvia by 6-0 at home, against Latvia by 0-2 away and against Kazakhstan by 1-2 away, drew against Turkey at home by 1-1 and lost against Czech Republic by 2-1 away, against Iceland by 2-0 away, against Iceland by 0-1 at home, against Turkey by 3-0 away and against Czech Republic by 2-3 at home in the Euro 2016 qualifying. They have been going on an awful run of form and as a result they haven’t been able to qualify for the Euro 2016, a team who has finished third in the 2014 World Cup beating the hosts Brazil for the third spot are having a very torrid time qualifying for the Euro 2016 to be held in France. Netherlands was in group A of the qualifying stages of the Euro with Czech Republic, Iceland, Turkey, Kazakhstan, and Latvia; they finished fourth in the group with 13 points, five points below Turkey and eight points above Kazakhstan with four wins, one draw and five losses. Elliot, Christie, McShane, O’Shea, Ward, O’Kane, Whelan, McCarthy, Hollahan, McClean, Long. Zoet, Veltman, Bruma, Blind, Willems, Wijnaldum, Bazoer, Afellay, Promes, Janssen, Depay. Stay tuned for latest football news and other sports updates. Don’t forget to share it on social media sites to let others also know.